Noor Mohamed Younus holds a Bachelor in Management (Honors) degree and an MBA in Strategic Management. He is a lifetime member of the Malaysian Institute of Management (MIM), the Institute of Marketing, Malaysia (IMM), and Persatuan Remisier Bumiputra Malaysia (Pribumi). He is a certified HRDF trainer. Noor Mohamed also holds a Dealers Representative License issued by the Securities Commission (SC) of Malaysia, which legally authorizes him to give advice on Malaysian equities. This license is subject to yearly renewal by the SC and attendance at Continuing Professional Education (CPE) courses, as a prerequisite for license renewal. He was an expert witness for the SC and has testified in court cases involving civil and criminal equities disputes. Noor Mohamed joined Putra Business School on April 1st, 2013, after a stint of 23 years in the “stock marketing” industry, where he last held a senior management position. His work experience includes such job responsibilities as strategic planning, foreign marketing, share-margin trading, sales and marketing, business development, legal issues, compliance, industry relations, dealing, and credit control. He was also a member of a management committee during his stint in this sector. In the stock market industry, Noor Mohamed was the pro-tem secretary of the group of stand-alone stock-broking companies, and was instrumental in securing 1+1 status from the Minister of Finance, which permitted stand-alone broking firms to open branches nationwide and prevent acquisitions by bank-owned brokerage companies. 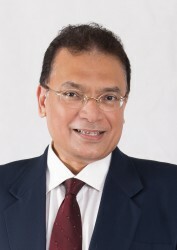 Noor Mohamed is responsible for many firsts in the stock-broking industry, including the first research publication in Bahasa Malaysia, creation of an icon for online trading, and participation in non–finance related expos—including housing expos and expos for the UMNO General Assembly, essentially to introduce online share trading to audiences with no exposure to share-trading. He also initiated talks with two Middles Eastern companies for the export of Malaysian intellectual knowledge in stock-broking. Many other stock-broking companies have subsequently embraced these trends. Prior to joining the stock market industry, Noor Mohamed worked with a publicly listed company in the housing and plantation sector doing marketing, public relations, credit management and auditing. He also has experience in the banking and finance sector. Noor Mohamed is a firm believer and activist for the liberation and betterment of women, regardless of their background or social status, at work and in society. Accordingly, he advocates pre-nuptial marriage agreements to ensure equity for women.